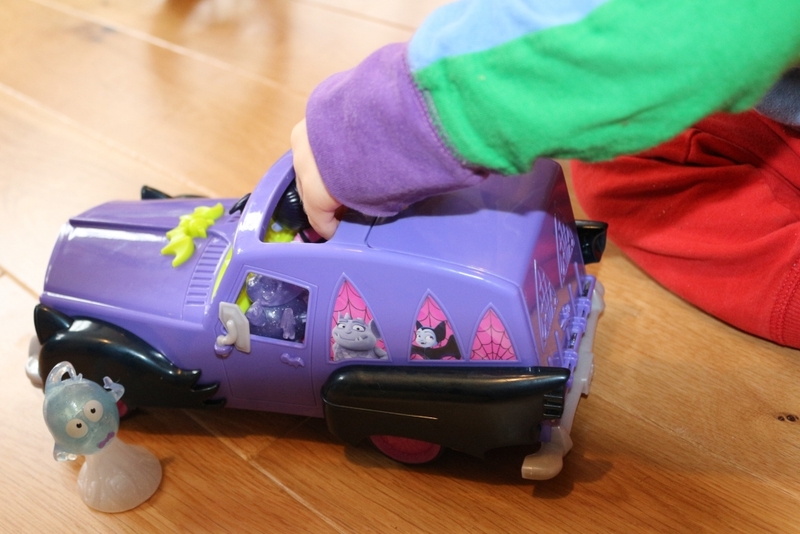 In January we were lucky to go along to a special screening of Vampirina at this year’s Toy Fair where the kids discovered the show for the first time and loved it, and they unveiled a new range of Vampirina Toys. Vampirina is a children’s show which centres around vampire family The Hauntleys. 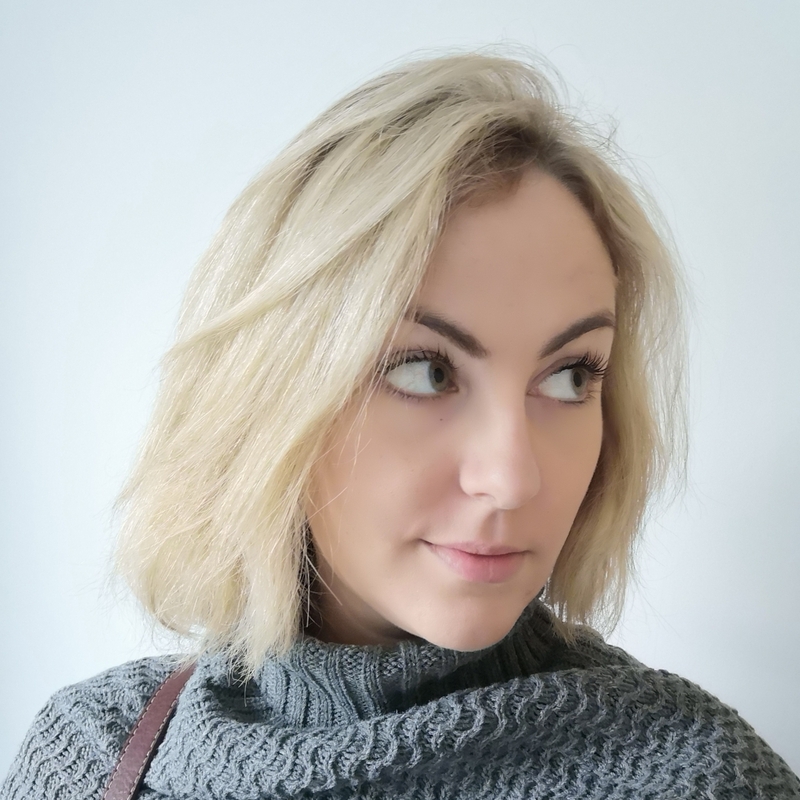 Known as Vee to her friends, Vampirina has moved from Transylvania to Pennsylvania with her parents, Oxana and Boris Hauntley, her dog Wolfie and the live-in ghost Demi. Although she is a bit worried about being different, Vee quickly settles in proving that it doesn’t matter where you’re from or that your skin is blue, that you can make new friends; which she does in the form of Poppy and Bridget, who both share Vampirina’s love of music, forming their own band the Ghoul Girls! 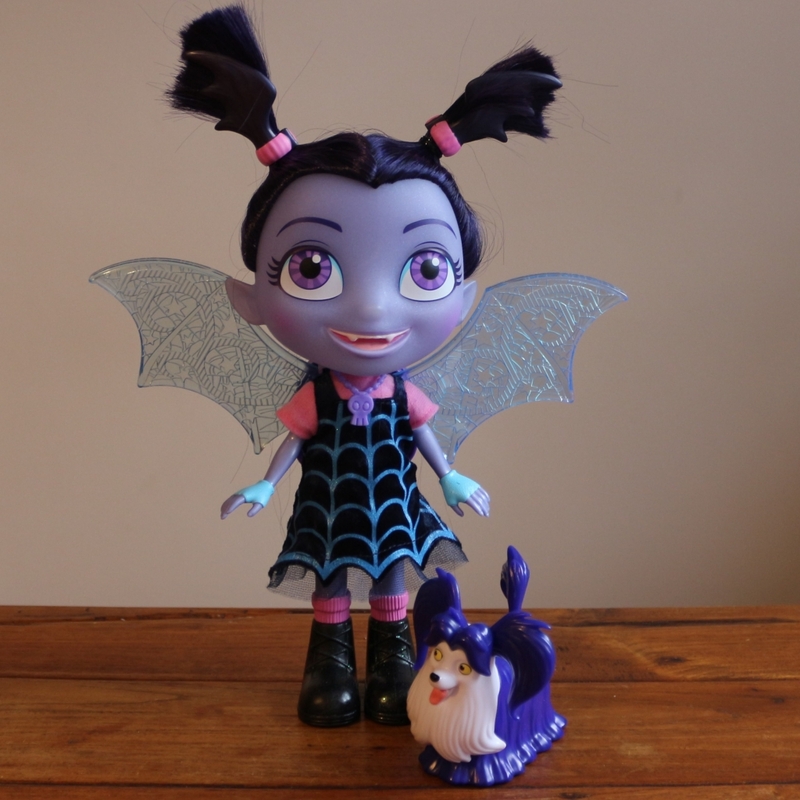 There are some great toys that go along with the series, so I’m going to introduce some of the new Vampirina Toys! 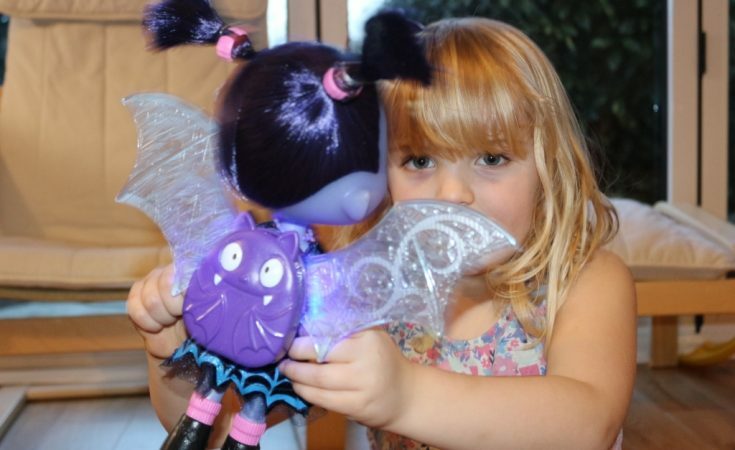 The Vampirina toys are aimed at children aged 3-6 years old and are made by Flair/Just Play. 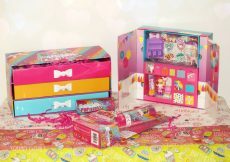 They are already available to buy from all good toy shops or from Amazon using this affiliate link or the product links in this post. 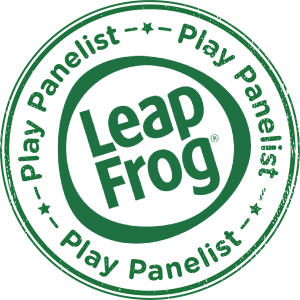 Well this one is a treat for any parent! Let your little one be just like the Ghoul Girls and sing along to the (way too catchy) Vampirina theme song with a light up Rock n’ Ghoul Microphone! What are the Home Scream Home Vamiprina song lyrics? It doesn’t matter where you are, you’re never far from… Home scream home. I have nothing to say about this other than it will probably find itself hidden at some point. It would make the perfect gift for a relative’s child. I won’t lie; this one is my favourite mostly because I love the puntastic name. 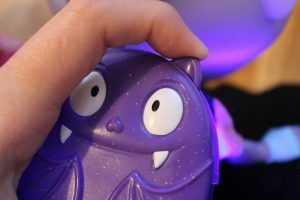 When you push the star buttons or the nose, or move the whammy bar mouth at the bottom, the Vampirina Spooktastic Spookylele lights up and plays guitar sounds and music including the Vampirina theme song. 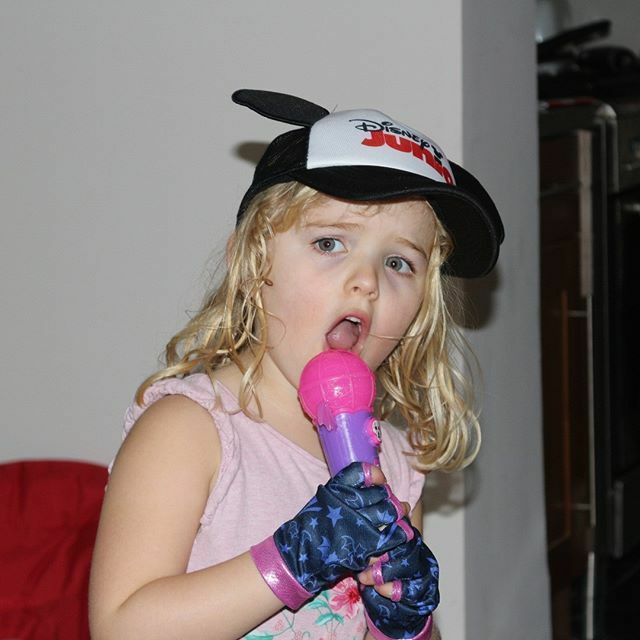 What are the Vampirina spookylele song lyrics? 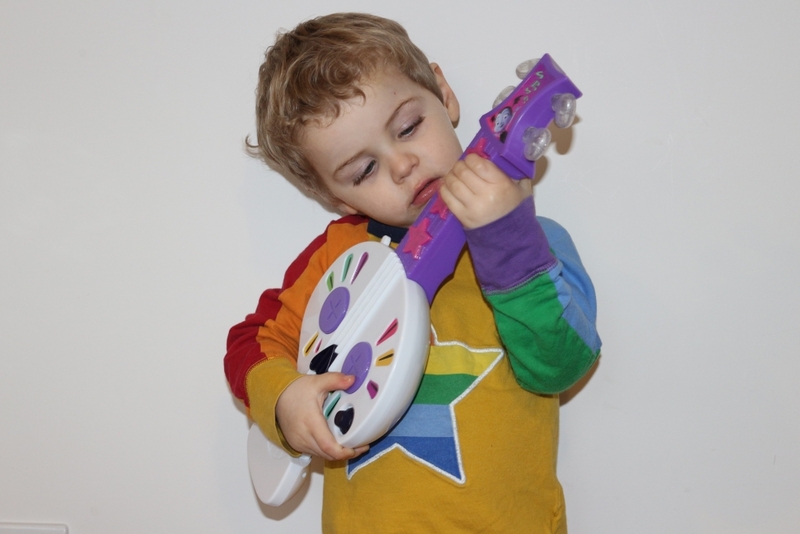 It also comes with some pretty cool fingerless gloves that make your kid look like a total rockstar. The Spookylele comes with 3 AA batteries included. The Bat-tastic talking Vampirina doll is the most expensive one of the Vampirina toys range but it’s also proven to be my oldest’s favourite. At 30 cm she’s a big doll and fairly solid too. She comes dressed just like Vampirina and can stand up on her own without support. Her hair is soft and brushable, the bat ears come off and on and could even be used if your own child’s hair. Wolfie is an accessory and doesn’t do anything but the two make a cute pair. 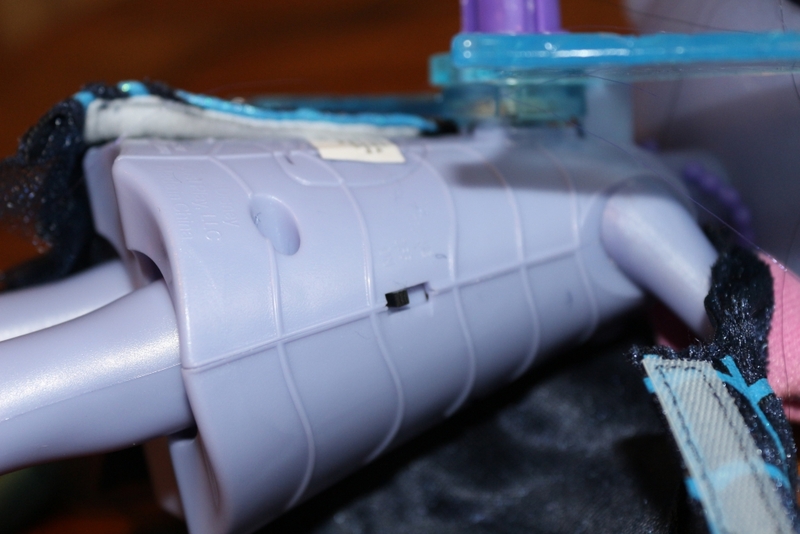 Quick tip: To turn the Vampirina doll from ‘try me’ to ‘on’ you need to remove Vee’s backpack by pushing down on the right ear and pulling it off. 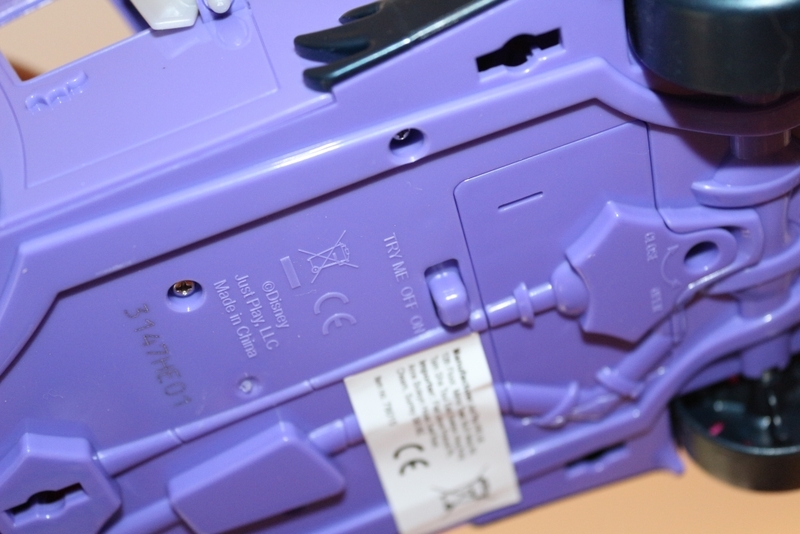 If you then undo her dress, there is a little switch and you want to pull it down to the ‘on’ position. Once on, you can press a button on her front (where her necklace sits) and she says phrases from the TV show and her wings light up. You can push her wings down and they will pop up when you press the button. If you whoosh her around she makes flying noises. The Hauntley Family car transforms into a drive-in cinema! 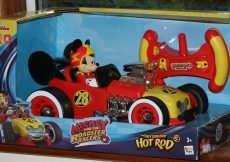 It has light up headlights and makes sounds/says phrases when you press the bat button on the bonnet. It comes with a Vampirina figure, table and popcorn, and you can purchase other figures to use with the set. 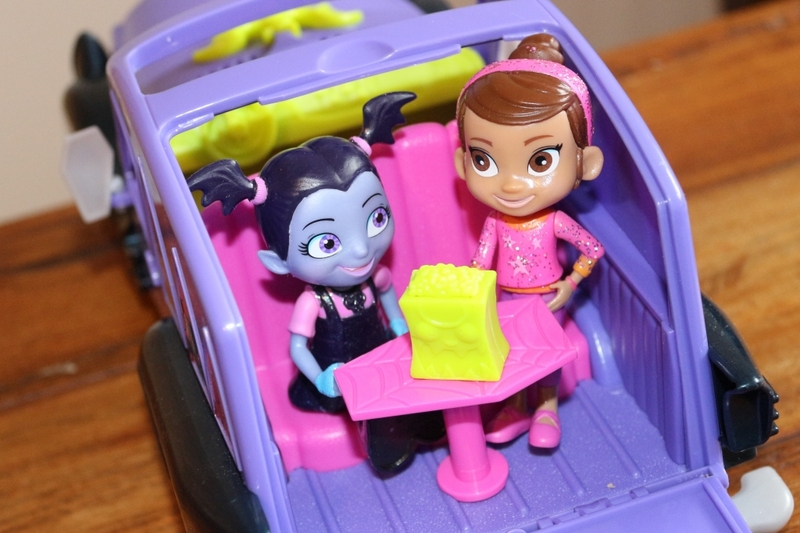 Poppy (pictured above) and Vee driving Hauntley’s Mobile (below) are both from the Best Ghoul Friend’s figure set which have an RRP of £7.99 and come with a monster friend and one accessory. The button for this one is on the bottom of the car – make sure you put it in the ‘on’ position or it will say the same two things over and over! 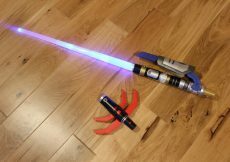 It requires 2 x AAA batteries but there are demo batteries included. 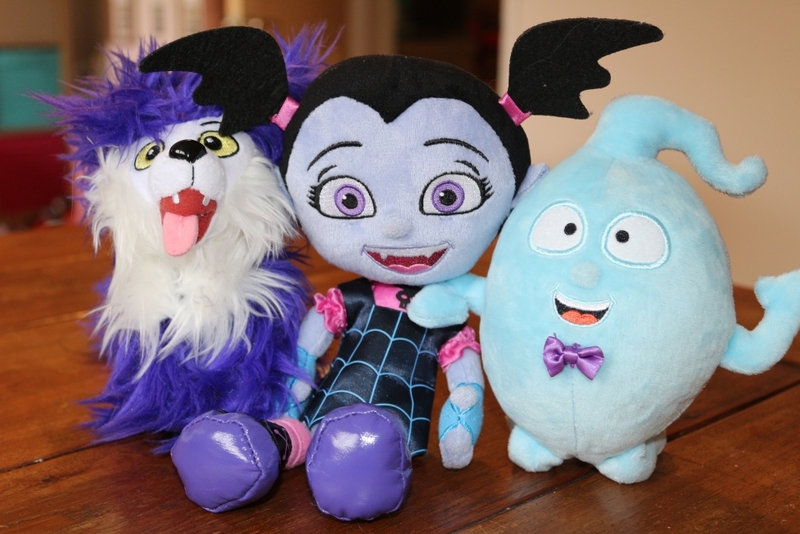 Also available in the new Vampirina Toys range are a set of plush toys, as well as articulated 3.5inch figures and a poseable 15cm Ghoul Girl doll. Visit Flair for more information on the full range. 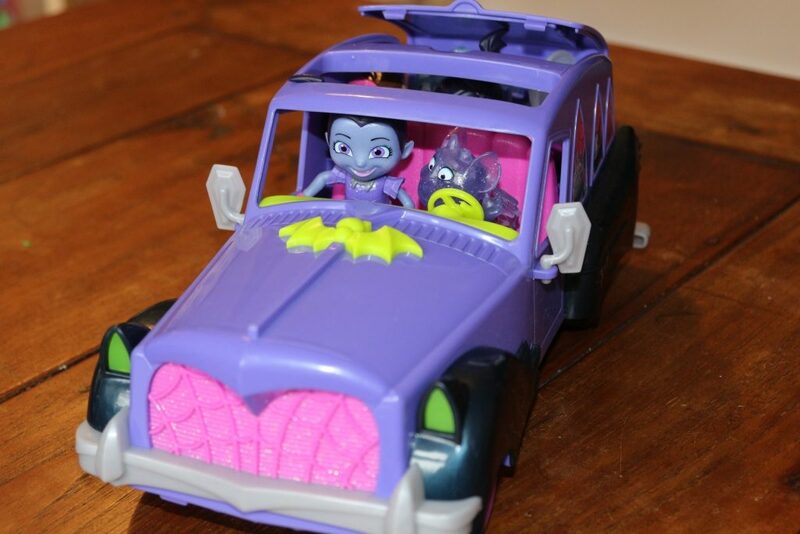 We received these Vampirina Toys for the purposes of this post but words and photos are mine. To find out more and for a chance to win, please join me on Wednesday 28th February from 1-3pm for a #VampirinaToys twitter party with UKMums.tv. 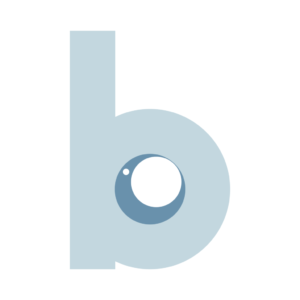 We have just got the Kids channels back on Sky and I noticed Vampirina the other day…. I am so glad you included the lyrics for that microphone as it’s been driving me batty (pun intended) ALL DAY. I’m now off to scream into a pillow.